A few weeks ago, I started hearing a lot about a comet. It was first seen by Australian amateur astronomer Terry Lovejoy last August. 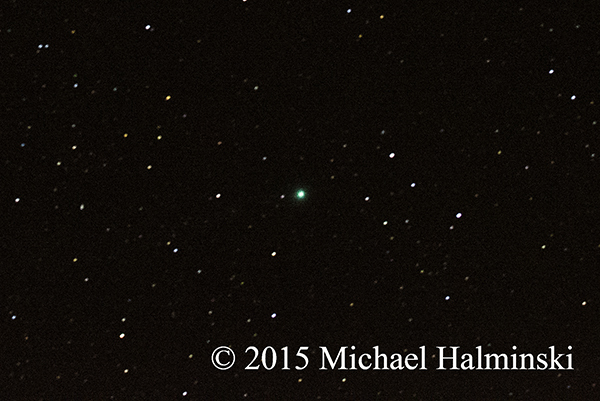 Officially called C/2014 Q2, the comet appears a dim, hazy ball to the naked eye. It’s not too difficult to find it with a decent pair of binoculars. There are some good sky charts online to help locate Comet Lovejoy. Orion makes a good reference point. 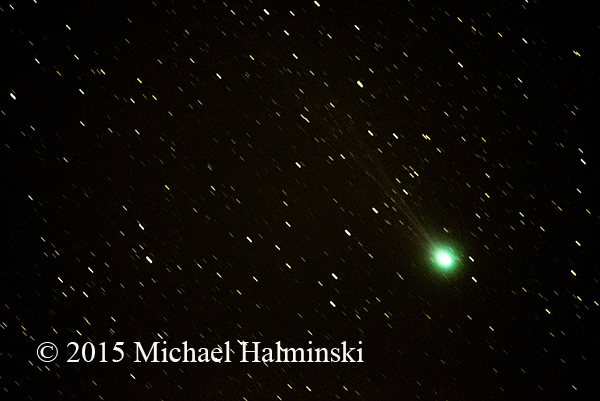 For me the comet was high in the sky during clear, dark conditions. Over a period of time, it’s movement is evident in it’s changing position in relationship to the stars. I spotted it one cold night from my yard, and the next evening attempted some photographs. It was hard to line up at first, but I finally got it focused in my viewfinder for some time exposures. My first shot was taken with a 200mm telephoto and didn’t show a tail. A week later, when I went to a 500mm lens and increased the exposure, the tail became apparent. There’s still a week or so to see this spectacle. After that, Lovejoy’s next pass isn’t for another 8,000 years. This entry was posted in night photography on January 20, 2015 by j0jgvm89bj.